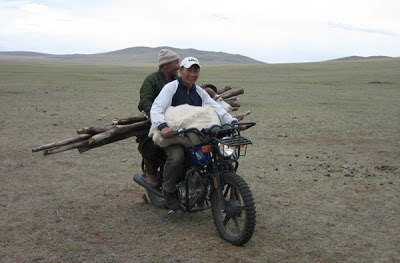 TRAVEL TO MONGOLIA: Are you going to Mongolia ? Avoid these 3 mistakes when choosing a tour operator. Are you going to Mongolia ? Avoid these 3 mistakes when choosing a tour operator. If you are a backpacker, getting the cheapest trip to Mongolia may be your main priority. Otherwise, getting the best value for money is what most people want. A quick search on the internet will reveal a very wide range of prices being charged for tours in Mongolia, both by Mongolian travel companies and by tour operators and agents based in other countries who are offering to organize vacations in Mongolia and Central Asia. How to choose based on price ? Search on the internet to find at least 3 companies offering the kind of tour in Mongolia that you want. Contact each of them to get a price. Make sure you know the size of the group that the price is valid for. If you are travelling alone and they only run a trip if it has at least 4 people in the group, you need to know if they have got other bookings or if you are expected to find 4 people yourself. Compare the per day price (divide cost of tour by number of days). Make a note of what is included / not included in the price. Don't forget that copying and pasting text, photos and videos is easy. Lots of people can make a website, but that doesn't mean they know how to run a tour. Before booking a tour in Mongolia, ask questions about your route, the scenery, accommodation, logistics, distances. Check if the tour staff have done the trip before themselves. How well does the driver know the way ? Will they hire a driver with his vehicle, or does the vehicle and driver belong to the company ? Is your tour guide just a student who happends to speak English ? Mongolia is still a developing country. Even though you will see enormous wealth in the centre of Ulaanbaatar, the infrastructure in many areas is still poor. You shouldn't expect things to be standardised or without risk or comparable with other Asian countries. Come with an open mind, a peaceful manner and joyful attitude and you will be welcomed wholeheartedly. The history of Mongolia, its economic situation, the weather and culture are unique, so enjoy it for what it is, without always understanding the whole situation. its nice blog,I Like Images,Thanks For Sharing with us.